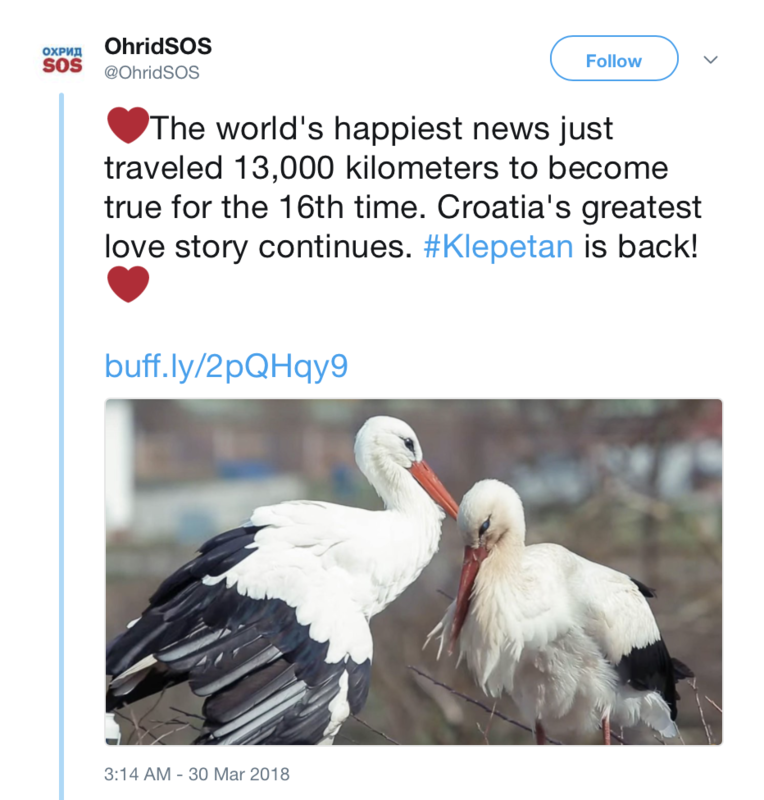 BRODSKA VAROS, Croatia: A faithful male flying thousands of kilometres each year to join his handicapped female who cannot fly - the story of two storks in Croatia, Klepetan and Malena, is one of love and devotion beating the odds. 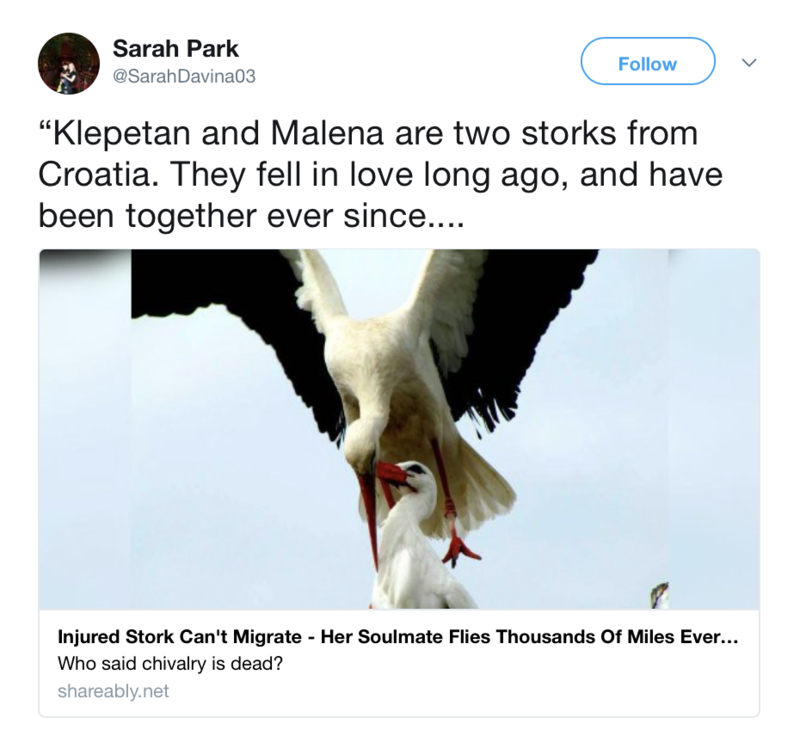 There he again met the love of his life, white stork Malena - "Little One" in Croatian - who was waiting to start having more babies, to add to the 62 the pair already have. The faithful couple's long-distance relationship has made them celebrities in Croatia. 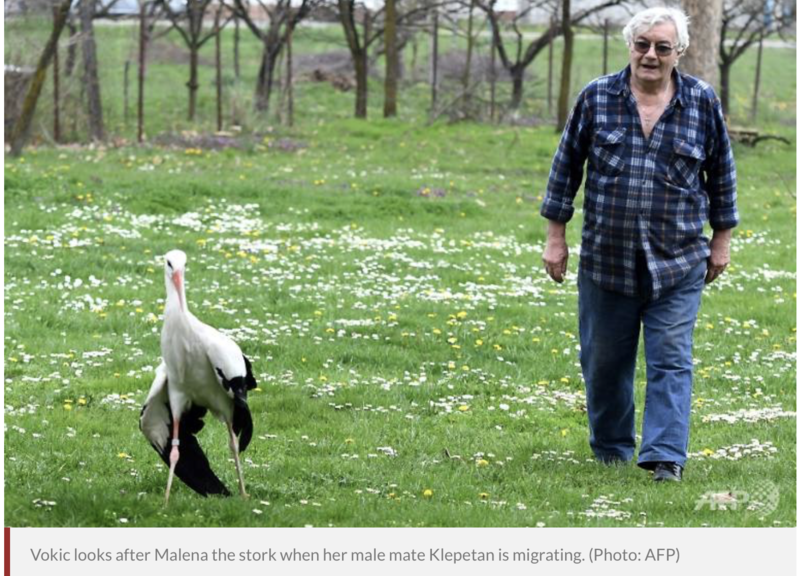 Local school caretaker Stjepan Vokic, a 71-year-old widower, adopted Malena in 1993 when he found her near a pond, injured by a shot from hunters. She spends winters in a storage building in what Vokic calls an "improvised Africa" with a nest, heating and aquarium. In spring Vokic makes a gigantic nest for Malena on the building's roof. Meanwhile, Malena stays with Vokic, who bathes her and puts cream on her feet to stop them drying out, as she is away from her wetland habitat. "I also take her fishing since I can't take her to Africa. We even watch TV together," Vokic told AFP. "If I had left her in the pond foxes would have eaten her. But I changed her fate, so now I'm responsible for her life." Klepetan, named after a knocking sound storks make with their beaks, wears a tracking ring. His final migratory destination has been traced to near Cape Town, some 14,500 kilometres from Malena. It takes him a little over a month. 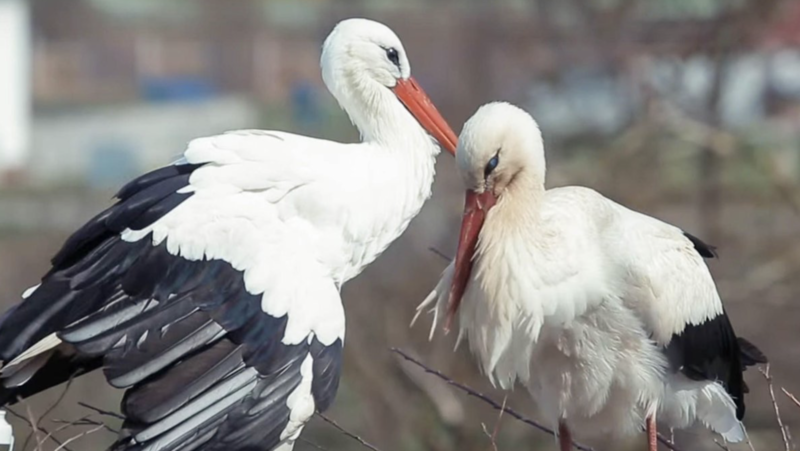 Croatia is home to some 1,500 pairs of white storks. 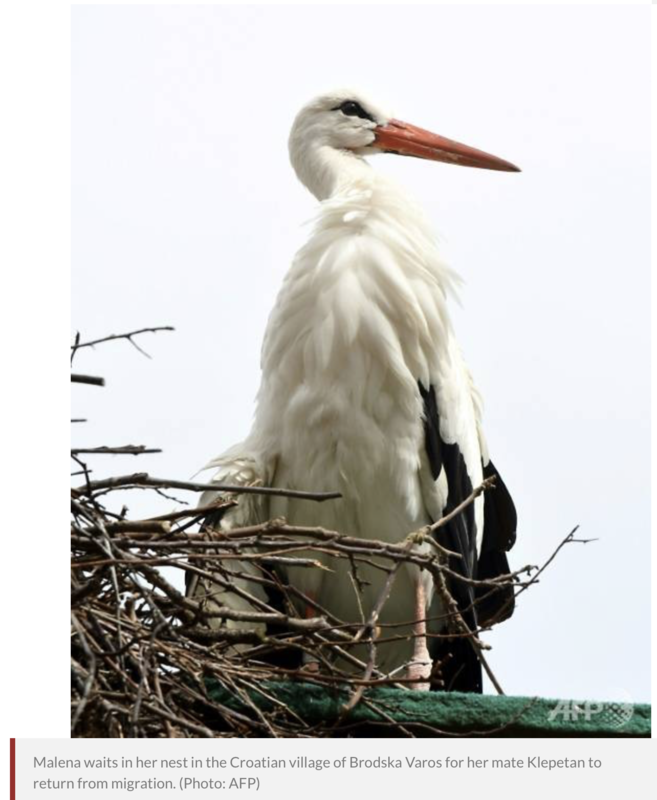 Cigoc, in central Croatia, was proclaimed the first European stork village in 1994. More than 210 birds live there in nests on the roofs and lamp posts. Their number is more than double the village's human population. Trixie and pinkbunnyslippers like this. "I changed her fate, so now I'm responsible for her life." I just picture this guy and the stork, sitting on the sofa, watching nature documentaries while he massages moisturizer into her feet. Beautiful. lindsaywhit and Trixie like this. I wonder if he creams her elbows too. Bless them. That's so cute!